The Big Quiz Thing: Hot! New! Format! A little background: EDP and I had been talking for months about adopting the hot new format you saw at last night's Big Quiz Thing, i.e., keeping the video screen pulled down and showing text for most of the questions. My perennial refrain was to tell EDP that I was happy to try it if it worked, but he'd have to take the reins. Anyway, he took them reins, it worked, it ups our game, and we're going to keep it going forward, tweaking and improving it along the way. (Yes, Aris, we're planning to have the text on the other video screens as well; patience.) Expect magic, pure magic. I thought last night's audio round—"Songs You May Have Forgotten from Ten Years Ago"—was especially good, particularly considering how rotten most of those songs are. It inspired some nice nostalgia, and a full-fledged Smash Mouth sing-along. You people should be ashamed. A reminder: This Friday night I perform as part of the Doris Yeltsin variety show, free, 8pm, at Sound Fix in Brooklyn. The full story here. 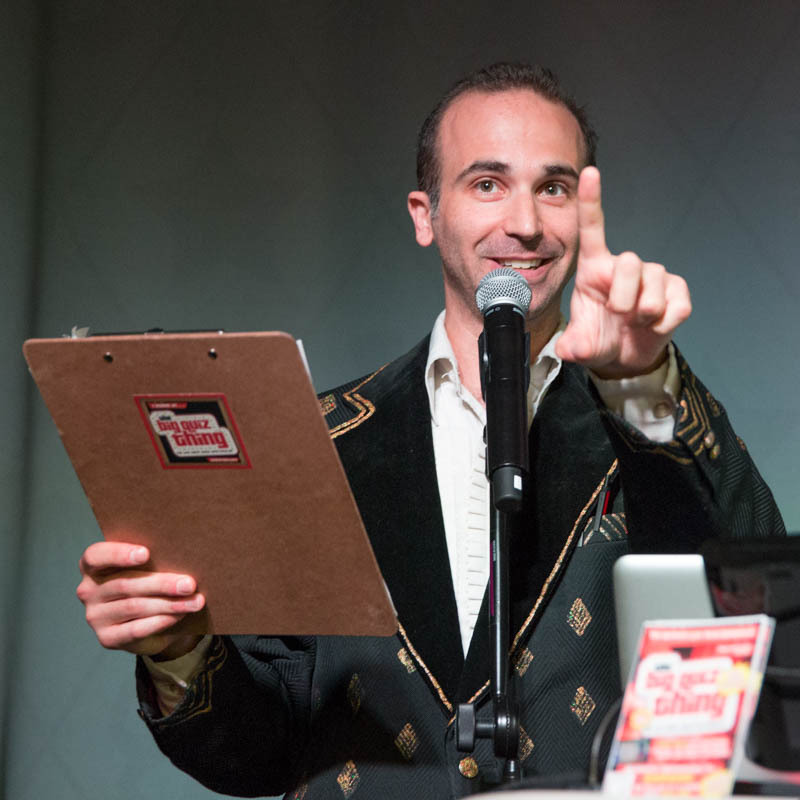 And yes, officially, last night was the biggest crowd in BQT public-show history: 188 people! Thanks for sticking it out, party people. As a card-carrying member of the Hanson fan club, I'm disgusted that someone thought "mmmBop" was a 1999 song. As everyone knows, it was the first single from Hanson's 1997 album, 'Middle of Nowhere'. 1,999 is, however, the number of children the Hanson brothers now have between them.